← Mastery is Collecting Cans for Charity! It may be March, but cold weather temps are still a concern! Just as Michiganders (and surely many other states) had a glimpse of spring weather, another snow storm settled in. It is easy to become lax about safety precautions for cold weather once the nice weather starts (especially after the perilous winter it’s been), but once safe cold weather habits begin fading we become apt to cold-weather hazards. Mastery’s newly released course, “Hypothermia,” covers two personal hazards affecting anyone in cold weather; hypothermia and frostbite. 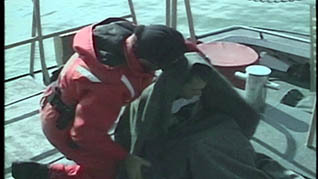 The course concentrates on the basics of hypothermia and frostbite, how to recognize them, how to react to them, as well as basic first aid. The first aid section in this course has been approved by several medical experts, the American Heart Association, and the American Safety and Health Institute. Hypothermia is a fall in body temperature to below 95 degrees Fahrenheit; it causes drowsiness, lowers breathing and heart rate, and can lead to unconsciousness or death. It is caused by prolonged exposure to extremely cold weather, swimming in cold water, or wearing damp clothes in cold conditions. Unlike hypothermia, frostbite is when the victim’s tissue actually freezes and ice crystals form and kills the cells. One of the most important things about frostbite is being able to recognize its symptoms. It most commonly affects fingers, toes, ears, and the nose. Both of these cold weather hazards are dangerous and can be life threatening. It is your responsibility to learn the hazards associated with hypothermia and frostbite, and use good judgment and common sense in determining the most effective prevention techniques. But really… after the recent snow, let’s hope we don’t need to worry about cold weather hazards for a while! This course is available on our mobile-friendly VOD3 platform. Visit Mastery.com for more information. This entry was posted in Product Announcement, Workplace Health and Safety, Workplace Training and tagged frostbite, frostbite prevention, frostbite training, hypothermia, hypothermia prevention, hypothermia training, winter weather safety, winter weather safety training. Bookmark the permalink.